We’re Hiring a Market Manager! The Sustainability Studies Program is thrilled to announce that the fall series of Lobo Growers’ Markets will again take place this coming semester. We are hiring a student market manager to plan and run the weekly event, and will be accepting applications from now until mid-August. The position is for 10 hrs/week for the first 8 weeks of the fall semester. See more details on the online job posting. The Lobo Growers’ Market was originally developed as a UNM student project and was held for the first time in the Fall of 2007. Students brought numerous growers and value-added producers on campus to promote local farming and small business – and ultimately, to educate campus members about sustainable agriculture and healthy food choices. The market has subsequently been held more than 15 times. We offer one Earth Day-inspired growers’ market event in the spring semester, and six markets in the fall when local produce is at its best. Join us on Cornell Mall every Wednesday from 10am to 2pm, starting August 28th through October 2nd. EAT SMART, BUY LOCAL, BE LOBO! The yellow star shows the market location. Join us Wednesdays from 10am-2pm on the Cornell Mall. 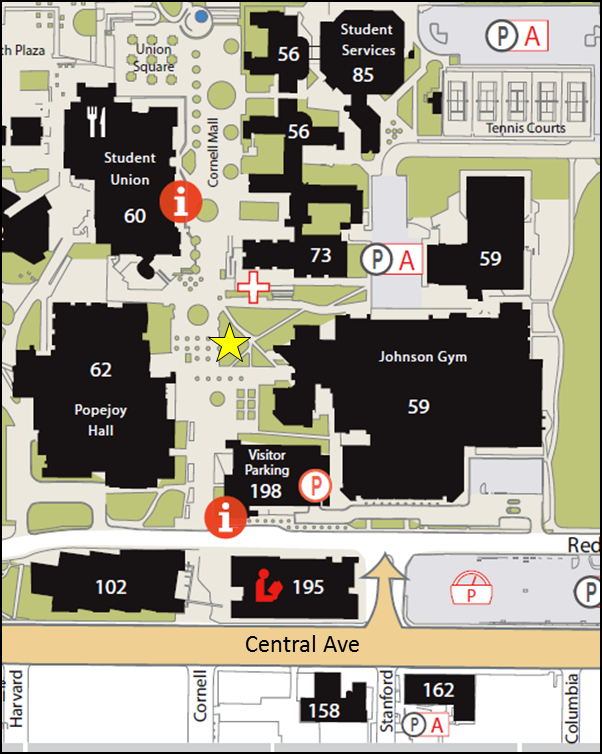 There will be ten vendors in the grassy triangle just west of Johnson Gym. 1 Response to We’re Hiring a Market Manager! Reblogged this on Astigmatic Revelations. 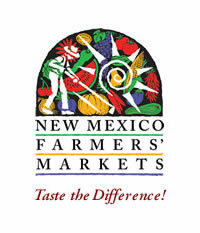 We’re a member of the New Mexico Farmers’ Marketing Association!